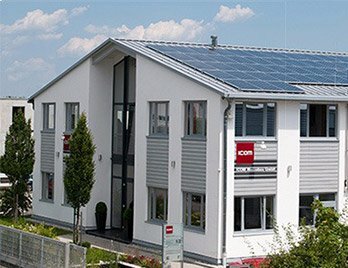 Wir suchen eine/n engagierte/n Mitarbeiter/in für die Planung, Organisation und Abwicklung von Messe Projekten, freiberuflich oder fest angestellt. - Computerkenntnisse MS Office, Excel etc. 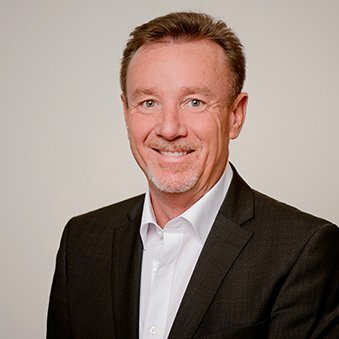 Wenn Sie nur einen Teil der Qualifikationen erfüllen, zum Beispiel wenn Ihr Talent mehr im Design liegt oder alternativ mehr in der Technik und Organisation, bewerben Sie sich bitte trotzdem. Auch Einsteiger/innen bitten wir sich als Junior-Projektleiter/in zu bewerben. Wir sind interessiert an einer langfristigen Mitarbeit und bieten einen langfristigen Arbeitsplatz. World premieres and novelties! 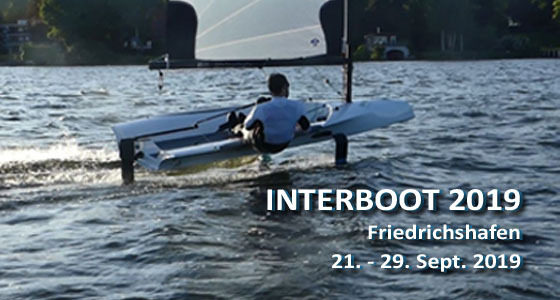 INTERBOOT 2019 is once again a great showcase. Whether the world premiere of the Foiling Dinghy, the Cabine Family Innenboarder Saver 830 IB or the Atelier Arno F. Dirksen. The mix of exhibitors could not be more colourful. 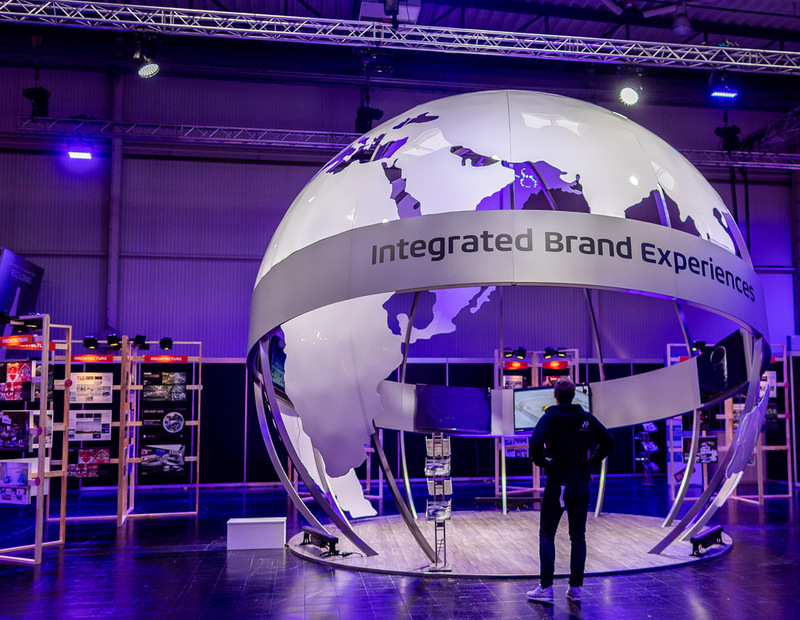 On 15 January 2019 the international Festival of Brand Experience took place for the first time in Dortmund. Under the title "01: The Encounter" there were two keynote lounges and six theme areas with the names FUTURE, FRESH, 70s, INDUSTRIAL,.. 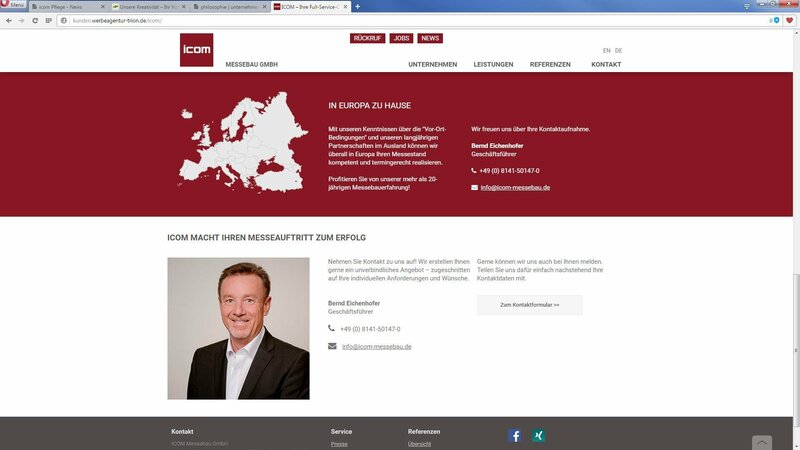 In May 1992, Bernd Eichenhofer and Angelika Linke founded the 'Internationale Congress- und Messebau GmbH' - ICOM Messebau GmbH for short. Look how easy and fast we can setup the iGlobe for your next exhibition, event or in your company foyer. IGlobe now has its own website! 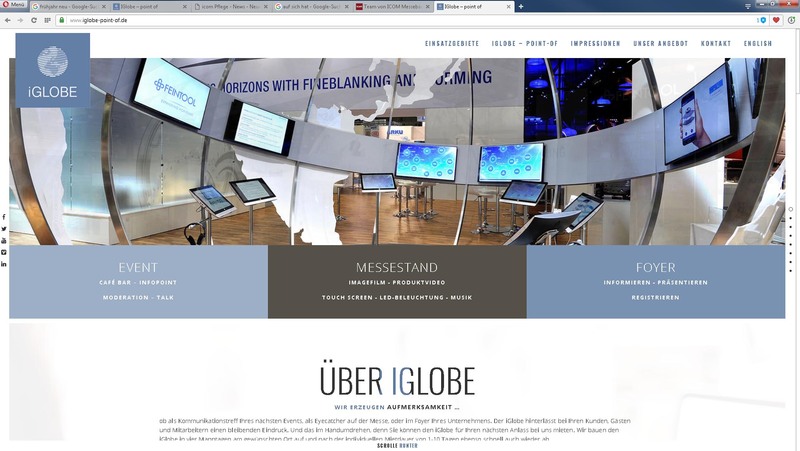 A rentable space for trade fairs and events – that’s how one might briefly describe what the iGlobe actually is. Our new homepage goes live! We are pleased to be able to present to you our new homepage. Although our website was last redesigned less than two years ago, we nevertheless decided to make our internet presence clearer and to give it an even more comfortable operating interface. 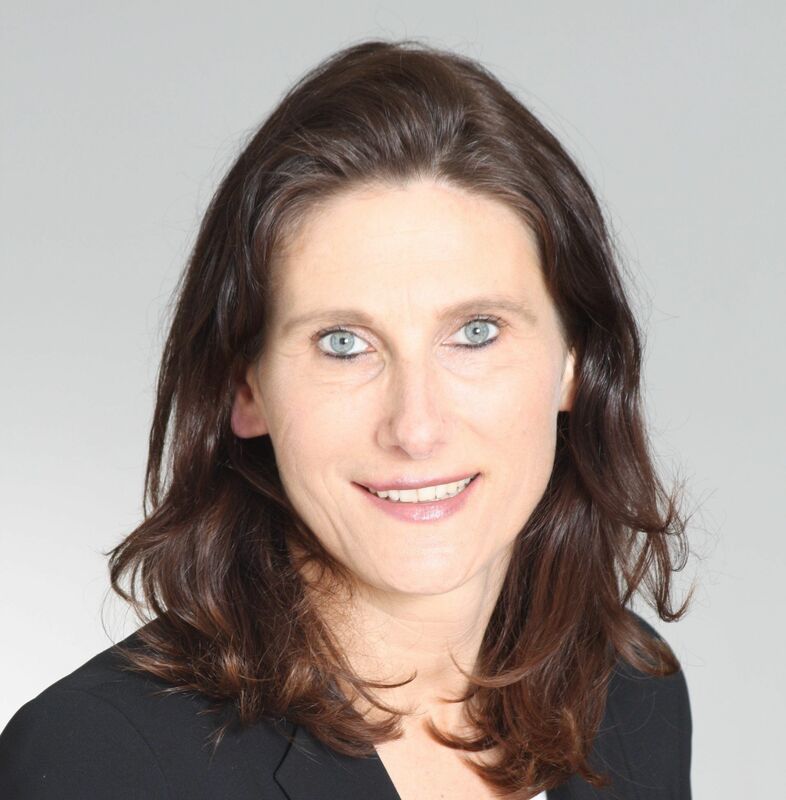 Rebecca Stotz has been supporting the ICOM trade fair construction team as a new project manager since 1 December 2016. The iGlobe is available to rent now for your next large corporate event or upcoming trade fair appearance. 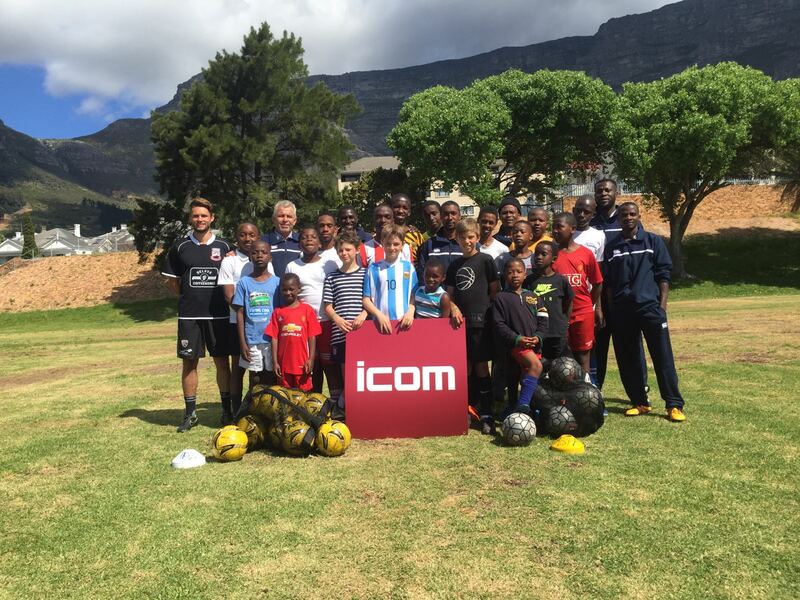 ICOM Messebau supports socially deprived children in South Africa. In September 2016, the African Brothers Football Academy ran a training course for football coaches in Cape Town as part of the “Coach the Coach” programme. 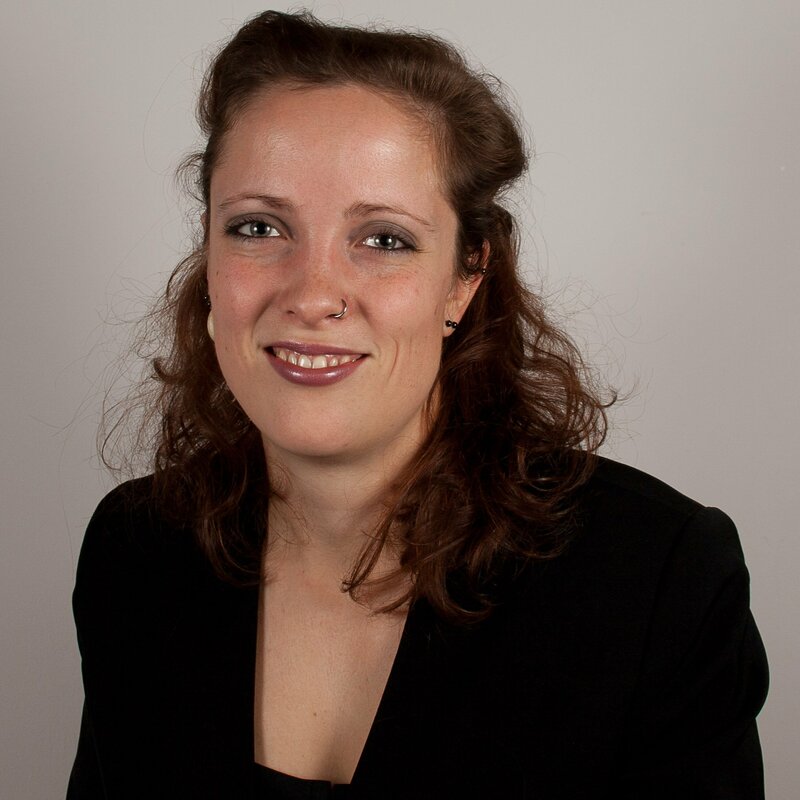 Since September 2016, Claudia Christ has been using her skills to strengthen the ICOM team as a marketing manager. Her work will focus on digital media alongside classical marketing activities. We would like to wish our managing director and company owner Bernd Eichenhofer and his wife Angelika Eichenhofer-Linke success and hope that all their wishes come true! Thanks to our new Smartframe technology, we are setting innovative standards in design freedom of wall surfaces. Our modular architecture has now been expandedto include the use of printed materials and textiles or coated fabrics. On 13 June, FAMAB, the Association for Direct Business Communications, celebrated its 50th birthday in the Tempodrom in Berlin. With our modular Steelframe architecture, developed in-house, ICOM has been offer-ing a high-quality, sustainable alternative in the field of trade fair construction for a long time now. 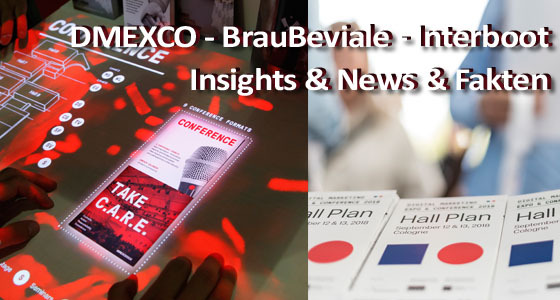 ICOM Messebau - making your trade fair a success! Our competent and experienced project managers design and plan your trade fair stand and are there to help from the very start. We use our craftsmanship and the highest quality to bring your trade fair stand to life in our in-house workshop. Even under stressful and time-pressured conditions, our drivers and fitters maintain an overview and work in a highly professional manner to ensure that your trade fair appearance is set up smoothly and on time. The entire team strives to guarantee optimum implementation of your trade fair stand, ensuring your trade fair appearance is a success. 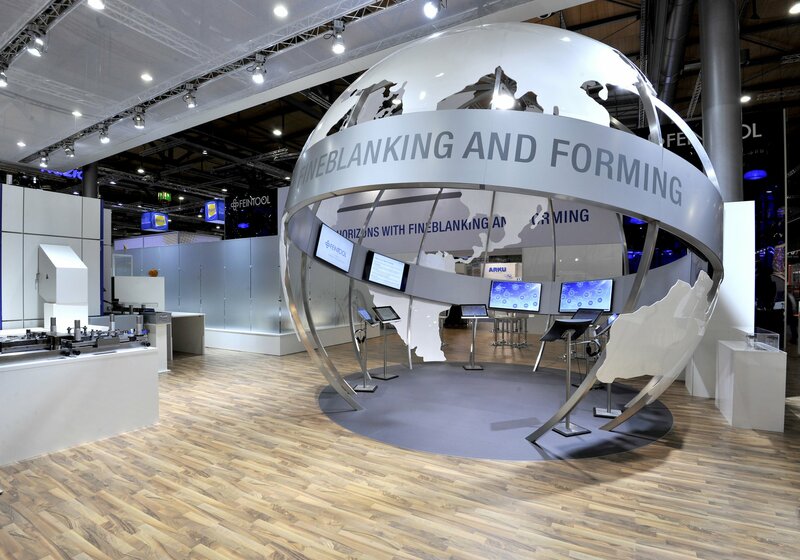 Place your trust in our 25 years of experience and expertise in trade fair construction - both within Germany and abroad. We provide you with the complete range of services that are required to create your individual trade fair stand from a single source. A personal contact person and many specialists in the background work to guarantee you an optimum trade fair appearance. 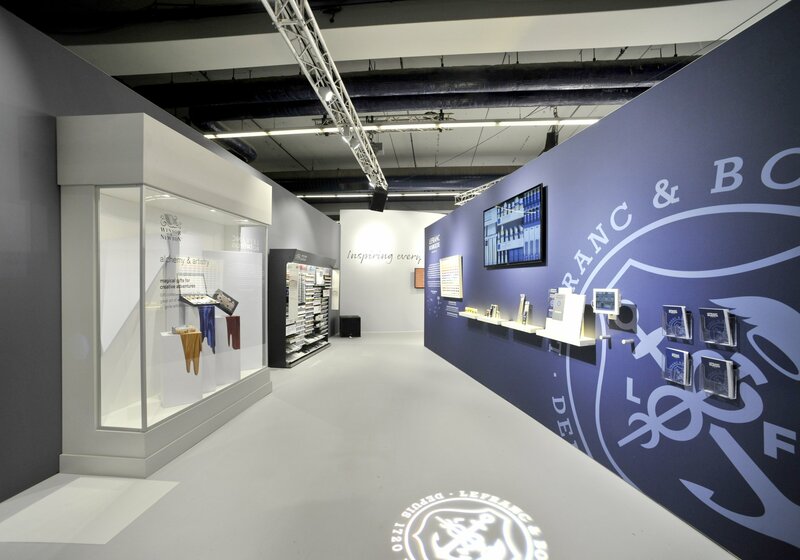 Our complete service ensures low friction losses, high production quality, an optimum price/performance ratio and a high degree of flexibility in the individual design of your trade fair stand. All the departments in our company work hand in hand and can always rely on one another. 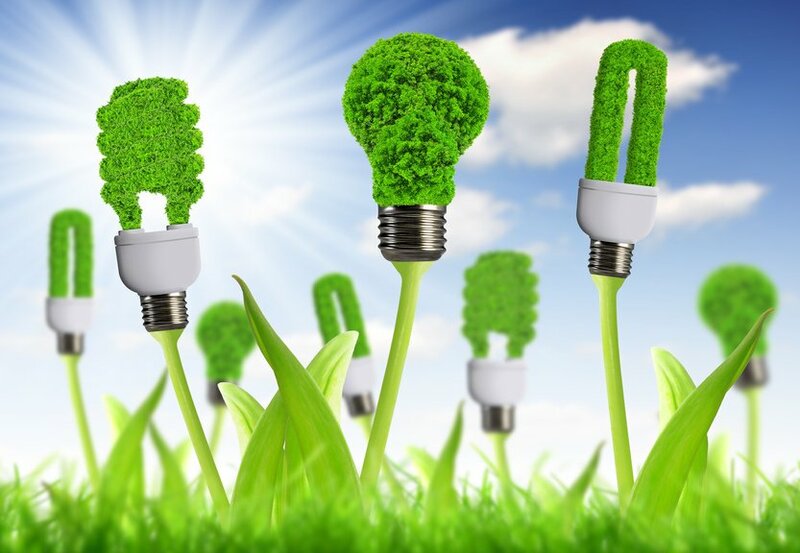 We have short pathways and work very efficiently, allowing us to implement all projects on time, every time. We work passionately and enthusiastically. All of our employees go about their work with a huge deal of commitment and give their best for the same cause: a perfect trade fair stand for you! We see ourselves as a reliable partner for our customers and have the same goal in sight: your success. ICOM - the trusting partner at your side. 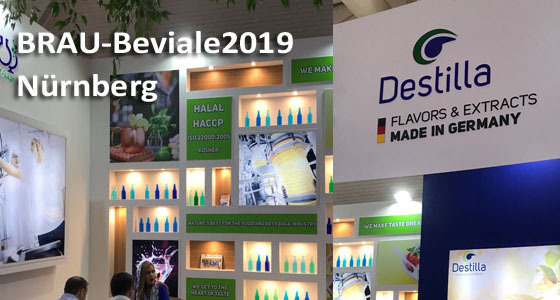 With our knowledge of the on-site condi-tions and our long-standing partnerships abroad, we are in a position to execute your trade fair stand competently and on time, throughout Europe. Make the most of our 20+ years of experi-ence in trade fair construction! 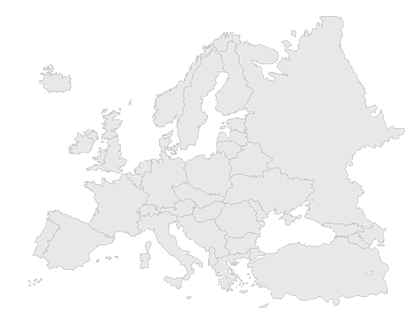 Our claim is to develop unique trade fair stands for our national and international customers, not only in Germany, but throughout Europe. Make the most of our 20+ years of experi-ence in trade fair construction. Contact us now! We will be happy to provide you with a non-binding quote - tailored to your individual requirements and wishes. If you’d prefer, we would be happy to contact you. Simply provide us with your contact details below.